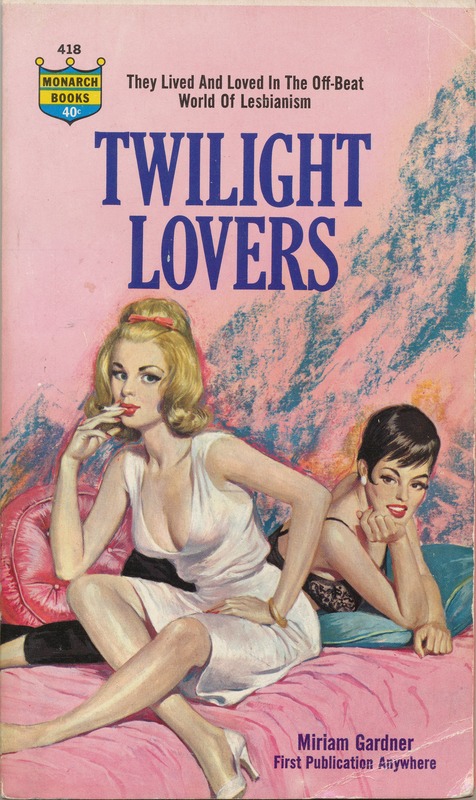 Gail, Marja and Gretchen were part of the topsy-turvy world in which you stared if a boy danced with a girl, and found it normal when two girls rubbed knees under the table or sneaked off into the shadows for more intimate contact. It was the world of the dyke, the butch, the bull, the ladylover – terms you resented, at first, and then grew to like, for it set you apart and made you different. It was a blast because it was a world without inhibitions — except when you were among squares — and conformity was the most grievous sin. It was a mad, mad, satisfying world – until one day you opened your eyes to discover that you were considered an outcast, a pervert, and your depravity could send you to jail. Is this by Marion Zimmer Bradley?